The City of Rexburg and The Venues introduce a Harry Potter Wizard’s Ball to be held at the Rexburg Tabernacle Civic Center on Feb. 8 and welcome those interested in some dancing and dressing-up. The dance welcomes anyone aged 16 and up to demonstrate their house pride by dressing up in their Hogwarts House colors. The night will include live music, refreshments, and the opportunity to dance but only until 9 p.m. The dance will begin at 7 p.m and tickets can be bought online. A previous Venues event in the Tabernacle. For Potter fans, this can be an opportunity to dress up as a witch or wizard from the popular novel Harry Potter and meet people that share their same interests. Jackie S. Rawlins, Cultural Arts Director for The Venues of the City of Rexburg began with this project four years ago with the hope to add a little more buzz in the city. 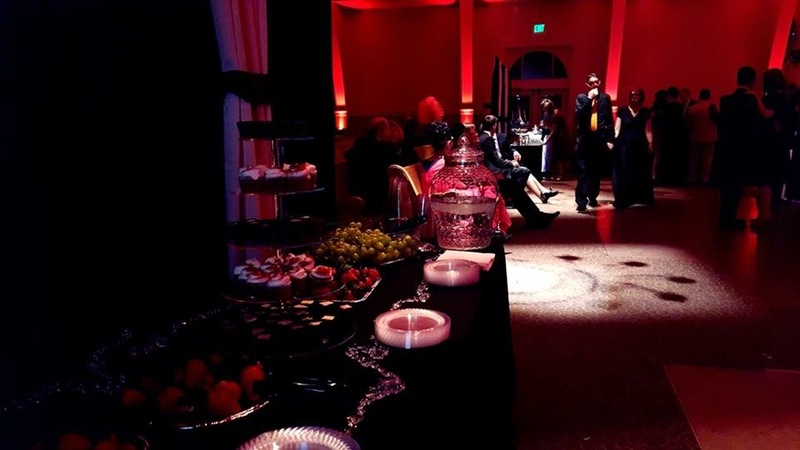 Past themes include the Great Gatsby and, last year, a Masquerade Ball in which, Rawlins said, the attendants had the opportunity to vote for this year’s theme. Preparations for the Gala start almost as soon as the last one ends and take months with a two-day setup just for the tabernacle to transform into whatever realm the Gala will present. “People have loved feeling like they have entered another place. Like getting away for the night, without leaving town. They love the professional level music that is always offered and the fun of getting dressed up is a plus,” said Rawlins. 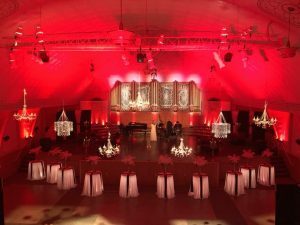 Last year, the Gala welcomed around 100 people to the tabernacle but this may be the last year the Gala will be held, said Rawlins. “Four years ago there was not much going on this time of year. Now there seems to be more and more. If we get a huge turn out and support this year, we may look at a different time to offer this event. But right now it is scheduled to be our last,” said Rawlins. Even though this may be the last Gala, Rawlins said the people of Rexburg can find out about more events going on in Rexburg by visiting The Venues Facebook page or rexburg.org/arts.